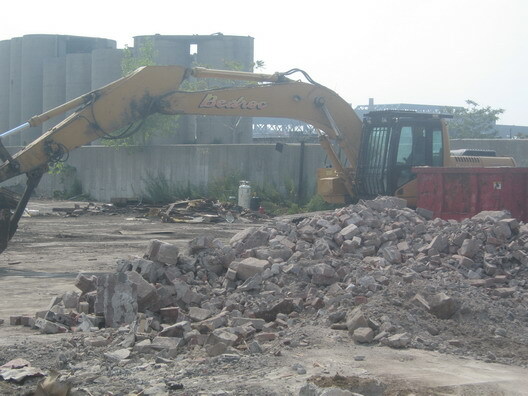 Last week, Brownstoner's Gabby Warshawer offered a look at the demolition activity underway at the environmentally-challenged Whole Foods site in Gowanus, noting that a promised Spring 2008 opening seems a bit optimistic at this point. 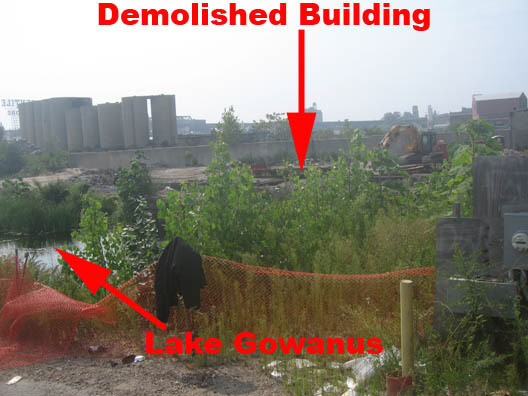 When we strolled over to have a look for ourselves, we found the entire building that adjoins the little body of water on the site we've come to know as Lake Gowanus was already gone. We do understand that neighborhood organizations and the big retailer have had some discussions about making the huge store more responsive to neighborhood concerns, although we're unclear as to what direction those conversations have taken. Whole Foods has previously rejected requests to reduce the amount of parking on the site and to include environmentally-friendly features like a green roof. Whole Foods still believes that thay can build their huge cellar of a store here as-of-right. TO date permits have not been issues for DEC wetlands permitting or the department of buildings building permit. Oh and the lake was previously called Denton's Mill Pond. Over at the Old Stone House, there is a picture of people ice skating on it.